I did however make my way to the Pacific Grove area for a special dinner at Passionfish. Why you ask? Let's just say I had heard so much about the food Passionfish that I couldn't resist. Owners, Chef Ted & Cindy are dedicated to providing their customers not only sustainable seafood but also the freshest local ingredients possible. Passionfish has been designated a "green business" and has been voted one of the best restaurants in the area. Not only is the food delicious the wine list is also quite impressive. Bottles are priced close to retail rates, there are also several half-bottles and wines by the glass available. 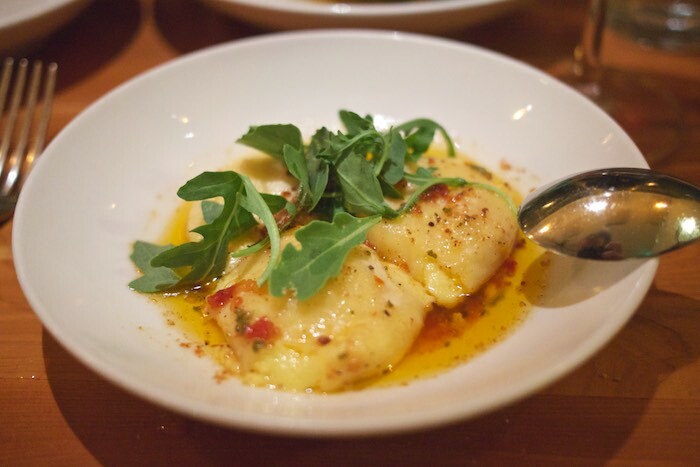 We started our meal with the ricotta bee pollen gnocchi; two large pillowy gnocchi made with local bee pollen were served in a light brown butter sauce topped with arugula. The flavor combination was amazing. 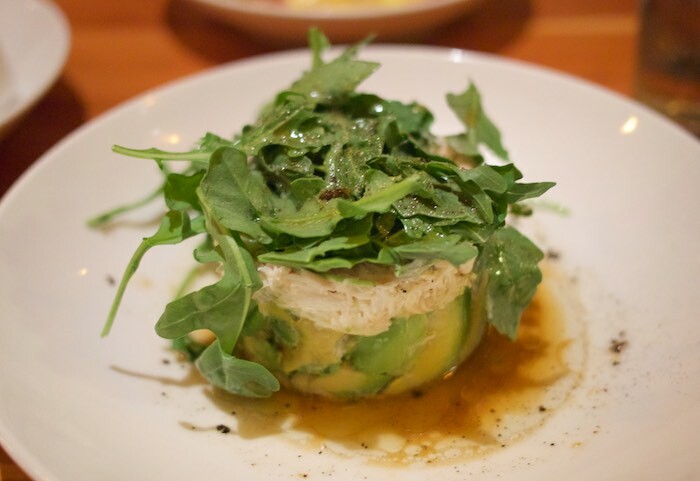 We also shared the Dungeness crab & avocado salad paired with a spicy ginger vinaigrette that complimented it well. The salad was light and refreshing and perfect before dinner. 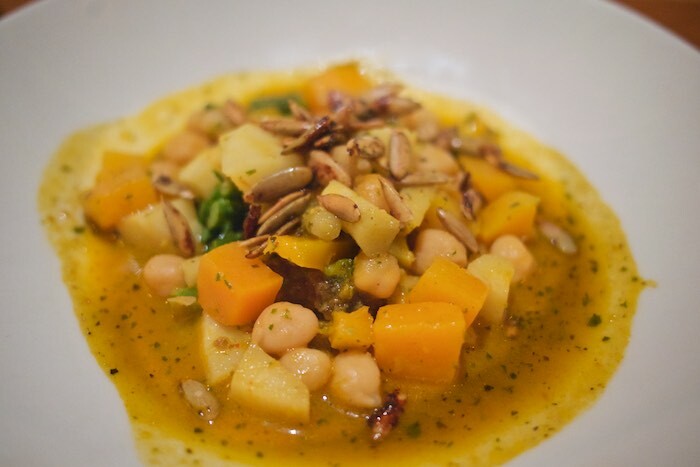 Next we tasted the chickpea stew; a hearty bowl of stew loaded with vegetables, chickpeas and pepitas cooked in a North African chermoula sauce. I loved how well everything went together and glad we decided to try it. For my entree I had the sturgeon; it was my first time trying this particular type of fish and I loved it. 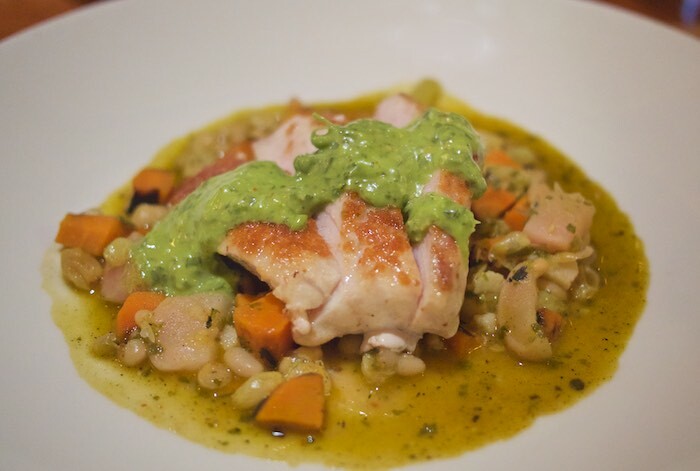 It was served over a citrus scented white bean salad and topped with a spicy herb pesto. If it is on the menu I strongly suggest you try it! 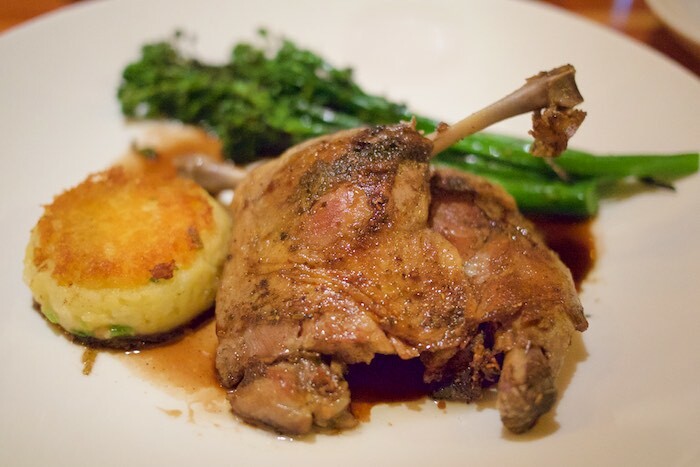 My husband had the duck confit, a favorite of his. The mouthwatering confit was served with a local honey reduction a side of brocollini and a delicious smoked chile potato cake. 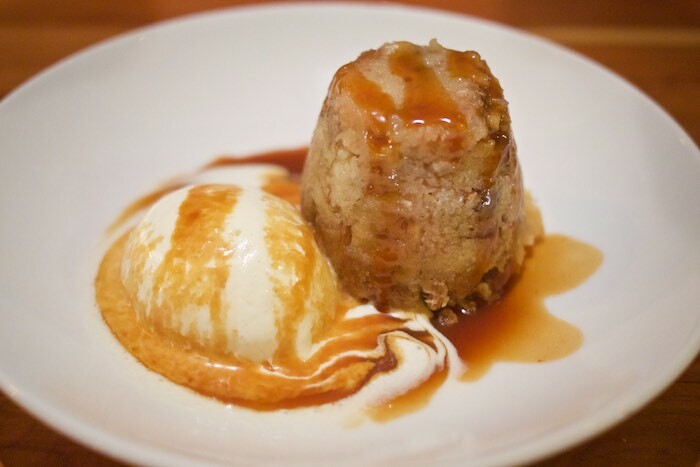 It was hard to even think about dessert after all of this amazing food but then I noticed the banana bread pudding with caramel rum sauce and ginger honey ice cream. Light, creamy and full of flavor it was the perfect ending to this meal. If you are in the Monterey/Carmel area I would highly recommend making plans for dinner at Passionfish. Be sure to make reservations as this popular spot tends to fill up quick and rightly so. This experience was provided complimentary however all opinions are my own. Well now I'm starving! Looks wonderful! Your restaurant food photos always make me hungry! Love it. Looks like a wonderful meal! If I ever find myself in the area, I'll definitely have to book a table for myself. These selections look wonderful! We love visiting Monterey and Carmel and will definitely keep Passionfish in mind the next time we go! That first course whet my whistle for what was coming next. What a meal! Your restaurant reviews are always outstanding! Makes me want to visit that area very soon. I'd say that was definitely worth the trip - that gnocchi looks insane! I would be in love with that Dungeness crab! I bet it was worth the trip all together! I would order one of everything. I mean why not, right. Everything looks so good. My dad was a big sturgeon fan. What an amazing looking trip! All of that food looks scrumptious!